You’ve completed all the core improv levels and started to play on an indie or house team. Now what? FCI provides many opportunities to continue studying with great instructors and with other dedicated students from our Visiting Artist master classes and electives to our Conservatory program. Started in 2016, our Conservatory program takes graduates of our core series and mentors them to gain more skills, experience, and opportunities in improvisation. 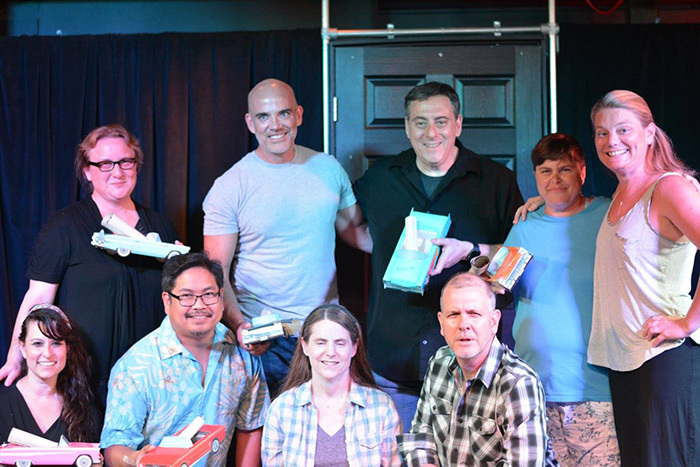 Conservatory students commit to a 42-hour program of advanced improv study and performance with one of our veteran teachers. Classes meet for 3 hours each week, meeting 3 weeks on and 1 week off for a total of 12 classes over approximately 4 months. The program is divided into 4 units, each having readings, skills, and activities that are required by each student. The group has 6 shows during the program. The conservatory focuses primarily on personal growth in long form improv but includes instruction and practice in short form, teaching, and coaching, all essential components of a career in improvisation. Each Conservatory group is comprised of 10 students that audition for the opportunity to participate. The small size and long term commitment allows for each student to make considerable progress. Each conservatory cohort performs regularly as part of the class. Conservatory students also commit to 2 elective courses at FCI (completed within one year of Conservatory start or end). Electives opportunities include Musical Improv, Sketch, and Clowning. 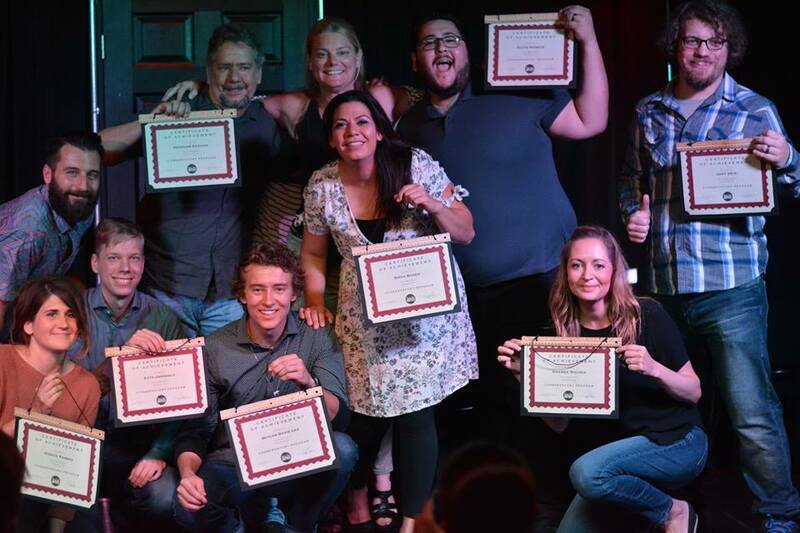 Upon completion of the Conservatory cohort and two electives, students receive a certificate of advanced improv study from FCI. Those interested in coaching or teaching opportunities will be promoted by FCI. All Conservatory grads will be considered for FCI house team membership. The 2018 cohort is underway! Watch for their shows!